Epsom, preparing to welcome The Queen next month as owner of Derby favourite Carlton House, will also play host to a king of pop after Benny Andersson’s Beatrice Aurore earned her place in the Oaks line-up. Andersson is best known as one quarter of Abba, but the Swede is also an enthusiastic owner and breeder. His John Dunlop-trained filly is now as short as 14-1 for the Oaks on June 3 after overcoming trouble in running to land the Height of Fashion Stakes under Ted Durcan at Goodwood. Masked Marvel is 25-1 for the Derby after his win yesterday. 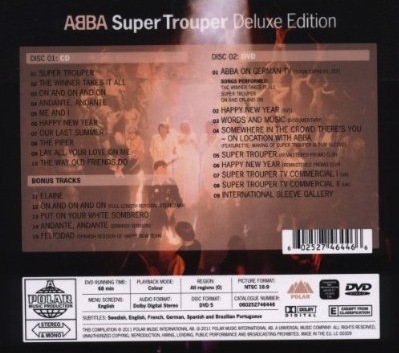 Comments : Comments Off on Super Trouper Deluxe Edition.